Our wide selection of new overhead doors are available for any type of home or business and sensible when it comes to your budget. All of our skilled and knowledgeable technicians install new overhead doors with the most precise methods. 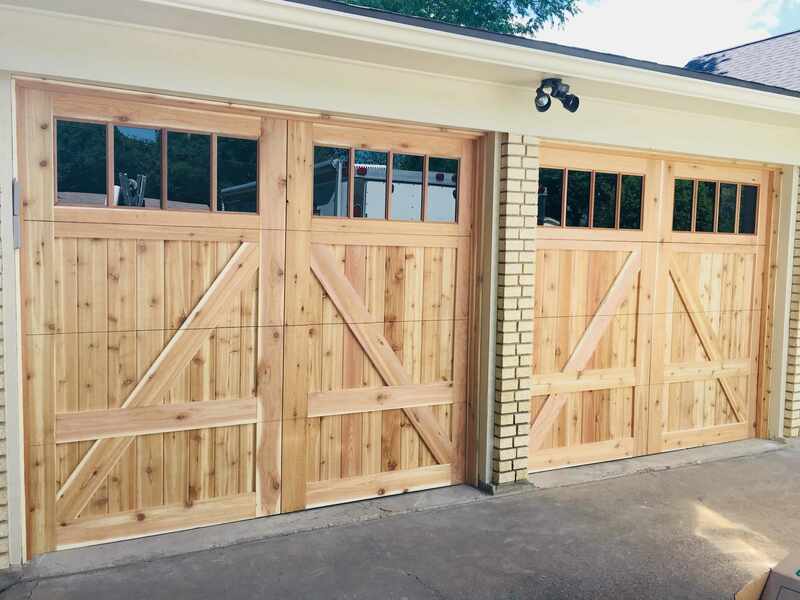 As a testament to the skillful precision ingrained into our technicians, we even provide an option for a “center post knockout” which converts two small garage doors into one big garage door. Customers can choose from many overhead door brands, styles, and manufactures. Our technicians and staff members are the very best guides for assisting customers tailored to fit their overhead door purchase. We offer carriage-style wood, steel, and glass overhead doors. 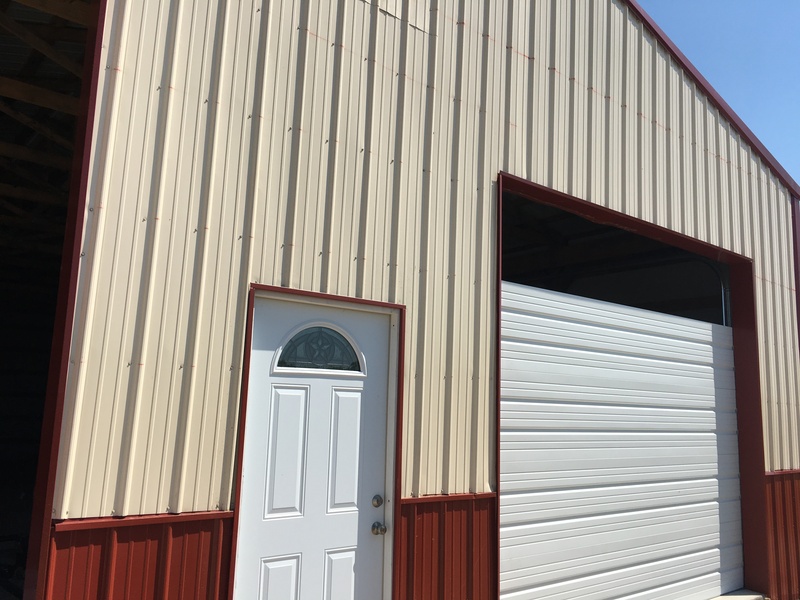 Many other options are available such as insulated overhead doors, which provide cost-effective heating and cooling efficiency within your home or business. Whether you need an upgrade or replacement, we make the process simple, smooth, and as enjoyable as possible. 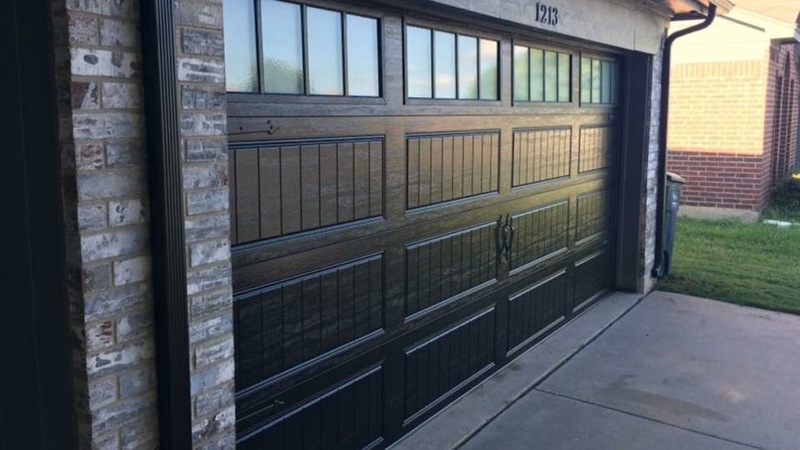 Roll up garage doors are known to most customers as “storage unit doors”, They are usually installed in commercial settings or residential homes where there isn’t enough room for standard garage door tracks. Although these doors don’t require traditional tracks they do however require a fair amount of headroom for the barrel above the door. Usually these doors are inexpensive in smaller sizes and less prone to coming off track and that makes them ideal for storage and commercial facilities. Rolling Steel Overhead Doors are often confused with Roll Up Overhead Doors. The concept of the door is very similar in the fact that the curtain (door) wraps around the barrel above the door giving the impression that the doors are all “roll up” doors. The difference between the two is simply this, a roll up garage door like the well known storage unit door has a 1 piece curtain, basically just a sheet of thin metal with corrugated stamping. The metal is thin enough to bend easily and therefore roll up without bending or cracking the steel. The rolling steel door however is much different and there are many small slats that are linked together so that each piece can pivot enough to circle the barrel above the door. These doors are constructed out of very heavy gauge steel compared to a roll up door. This is why they are given the name “rolling steel” These doors are usually only found in commercial buildings. Commercial sectional doors are very similar to residential garage doors in the way that they are both designed and operate. The main difference between residential and commercial garage doors is the strength and appearance. Most commercial buildings and businesses choose durability over appearance. The standard commercial overhead door has several horizontal grooves and bends in the panels giving each panel added strength. The thickness of the steel and hardware also are much greater in commercial doors. Viking Overhead is your local garage door company for any residential or commercial overhead doors! A Garage Door Company you can trust! As our client, you should expect nothing less than the best possible service every time you deal with one of our employees in person or on the phone. Our goal is to build a long-term relationship with you. The foundation of this relationship is our Service Commitment – to anticipate and exceed your expectations. Our Service Commitment sets the standard that our customers can expect from Viking Overhead and that we demand of ourselves. We find beauty in a job well done. From the initial phone call to the completion of the job, we think you will feel the same way!